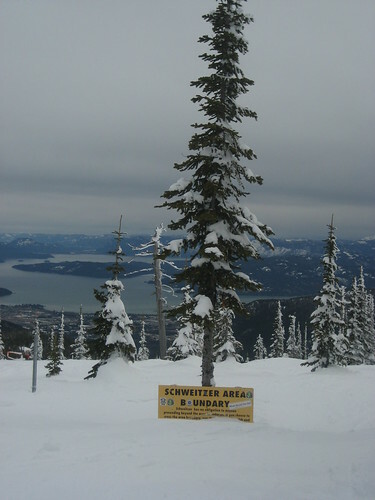 I finished out my ski season with another trip to Schweitzer Mountain last week. That’s two years in a row now that I haven’t skied anywhere else—it’s just so nice to have a home mountain (even if it is 2000+ miles away) that I’ve not been able to convince myself to spend my ski time elsewhere. Perhaps next year I will. Or the year after. 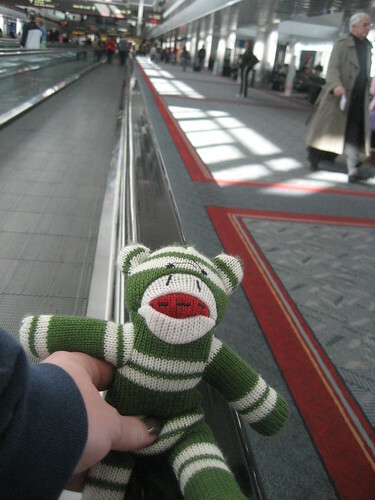 This trip, Mr. Karen and I flew out and back, connecting through Denver; this was Sock Monkey’s first time in Colorado. We had an early morning departure on the Sunday the clocks sprang forward, which was so not fun. By the time we got to the condo, two flights and three time zones later, my body had no idea what was going on. The clock said 9 p.m., which meant it was midnight back home, but that was 11 p.m. yesterday time, but we’d been up since 5 a.m., which felt like 4 a.m.—I gave up and went to bed. I got up ten hours later and felt much better. 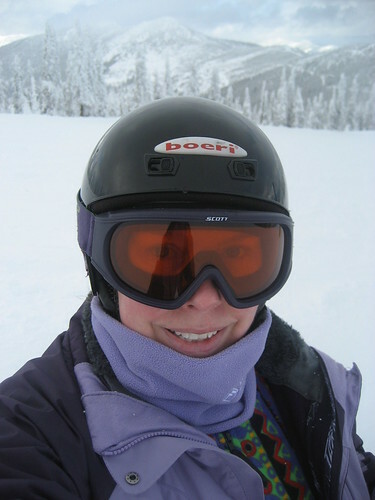 We spent the week skiing and celebrating my birthday and working on projects around the condo (well, the projects were pretty much all Mr. Karen, though I’d hold the end of the tape measure and such when asked). There had been a lot of snow since our last trip out, and more fell while we were there, so conditions were pretty darn good the whole time. I’d been prepared for soft sloppy spring conditions, but it was pretty much winter the whole time. I still get amazed when I have a whole run to myself in fresh snow, and I still can’t resist taking lots of scenery photos, even though I’m pretty sure I’ve snapped some of those views tens of times by now. The Stomp Games were going on at the end of our trip, so we got to see a bit of those events before we headed home. There are more photos and commentary in this set at Flickr.